Expert witnesses are needed most often when there is an aspect about a case that needs clarification for the judge or jury. In pharmacology cases where there are defects in warning labels, these experts are uniquely qualified in detailing the effects that these defective labels may cause in the health of the public either for an individual or a group. Construction incidents are common due to a variety of factors, but it is when someone is injured that the case becomes serious. This means a construction litigation expert witness is needed to explain evidence, connect the elements together and determine liability and provide the responsible party to the judge or jury. Finding the right expert witness is important for cases that have a need for details, connections from evidence and even when the evidence supplied is confusing or is hard to associate with certain aspects of the claim. State legislators successfully passed a comprehensive pension reform in Pennsylvania in early June. The new law aims to shift risk away from the taxpayers when it comes to state-funded pensions. 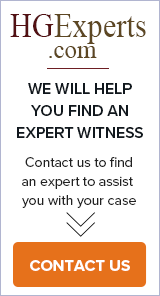 Expert witnesses must have experience in the subject of the case. This usually means that someone in the medical field has been hired to explain evidence, injuries and medical processes to the judge or jury. Members of the medical field may be used as consultants for an understanding of the exact procedures used, but the expert witness may be the go between for the lawyer and client. Family law requires knowledge of a broad spectrum of subjects such as divorce, child custody and even separation. An expert in these matters is able to provide help in various functions of family law within the legal realm. If a child is in the middle of a custody battle, a family law expert witness may provide the insight into the matter that the judge may not have considered or known previously. When someone has been involved in medical malpractice with the heart, a cardiology expert witness is often necessary. These professionals have knowledge of what standard guidelines should be used when performing surgery, medical treatment and in prescribing medication. If the physician appointed to the patient did not follow standard procedure, he or she could be liable for damages to the victim of the incident. Multi-jurisdictional lawsuits are difficult to defend against and are extremely complicated due to the numerous suits from more than a single jurisdiction. This means that the defending party must prevent conviction more than once, and he or she may need to contact additional legal representation or expert witnesses if the crimes issued are not similar. An expert witness is needed on many cases to explain evidence, draw a conclusion from the proof provided and to reconstruct the incident when necessary. Consumer data is available almost everywhere online. Anyone that visits almost any website leaves a trail of information in his or her wake. However, there are methods employed to collect these details that are considered illegal. Experts hired for a case generally provide a report of the incident that includes their conclusions, opinions and different stages of the issue based on evidence and testimony of others. That means that the value of these reports must be great and the quality should be above reproach. For years, a huge part of marketing for law firms and other businesses has included short blogs that were intended to help their readers/clients/potential customers gain insight and provide answers or information about a particular issue or topic. Well, in recent months, it seems that times have changed with regard to what type of content is more effective from a marketing standpoint. Tree failures can have severe consequences. Unfortunately, evidence is often cleaned and removed from an accident making forensic analysis difficult if not impossible. That is why taking effective photographs of a tree failure may provide valuable evidence for forensic analysis to determine the cause of the failure. Data security is crucial in both keeping information safe and running a business that relies upon online and networked transactions. As more companies are progressing forward through the future in the electronic age, data security and information systems become the most important aspects of a business. Drivers that get behind the wheel while intoxicated may run the risk of being pulled over by law enforcement officers. When charged and convicted of these crimes, they have driving under the influence offenses on their record. For many states, the more of these on a person’s record, the worse the penalties become as they progress. Investigations into construction incidents are important. When, where and how someone is injured or killed in an accident determine how much compensation, what penalties and who may be responsible. Cases of asbestos exposure may be complicated due to how long the material has been in the building, who put it there, why it was there and how the exposure occurred. This means that the responsible party for the claim may not exist any longer, or there could be more than one person or company accountable for the physical injury or damage to the home. Pension plan participants are gradually shifting savings into target date funds (“TDFs”) designed to match their age and investment needs with their ultimate retirement savings goals. Almost one fifth (18.4 percent) of defined contribution assets in the largest 1,000 retirement plans are now invested in target date funds, according to a recent survey published by Pensions & Investments. When persons are working on the roof, there are many risks to the health and various dangers that could lead to either serious injury or death. If the individual falls through or off the roof, he or she could break bones, suffer soft tissue damage or worse. This could be a wrongful death or liability issue if the person dies or the injuries are extensive enough to need compensation. Defects in products are a serious problem when entire batches or the design are affected. This could means standard use of the item may lead to injury or even death. When the defect causes an object to tip over, this may cause catastrophic damage. These situations are exacerbated by certain factors and situations. There are many federal regulations that require the assistance of a professional that understands what these are, how they apply to a situation and why they are used. Additionally, there are certain requirements necessary for an expert witness to be used for a case that involves federal regulations. Patent evaluations are important to ensure the applications is unique and not the same as previous patents that already exist. This is because a patent for an invention gives the applicant the ability to use it exclusively with a process, product or similar item. Provided by: Rocky Mountain Safety Consulting, Inc.
You have a case in litigation and think you want to hire an expert witness. Before doing so there are some questions you may want to consider before hiring, and once hired, how to deploy the expert witness for your case. Many accidents that harm persons when working or performing job duties may be severe. This often depends on the industry and the equipment or tools used. For railroad workers, these incidents could end in death with the heavy and sharp items most readily available. Real estate matters are important to those that are either selling and buying or seeking investment opportunities. This means that an accurate evaluation or determination of the value of the property must be completed. Construction litigation is rife with complications, difficulties, risks and numerous types of investigations. These may be more in number when involved with commercial constructions projects, and injuries are often possible during these incidents. Drones usually defy privacy, as they are able to fly into the private and persona property of another individual. This means that if the drone is equipped with cameras or a recording device, the conversations of a person over the phone or with another and even groups may be intruded upon. In some situations, an employee may complain of sexual discrimination that is not necessarily sexual in nature. An employee may not be being harassed for sexual favors. Instead, he or she may be harassed because of gender bias or stereotypes. This type of discrimination is also illegal. Fraud is a serious crime that often affect multiple persons simultaneously. When someone’s personal information has been stolen and used in this manner, he or she may find credit being used, bank accounts empty and numerous other concerns that may alter the life of the victim. The future has arrived, and it is showing the public that it includes vehicles that drive themselves. However, there are various issues that these cars may raise because of injuries, accidents and similar concerns. Many problems with these types of advancements in the world deal with how technology keeps outpacing the law, law enforcement and keeping legal matters settled. Inclement weather is often difficult to survive, and the more severe it is, the more complicated its issues are to resolve. Many that are not affected by hurricanes, tornados and floods do not understand how assistance and compensation are needed when insurance and other help are not received when they are needed the most. Construction defect claims increase due to defective parts, materials, substances and similar concerns and have been on the rise since 2012. When the goal of the construction project is speed, there are many shortcuts taken that lead to injury and death for workers and those involved in the situation. Airbag defects in vehicles that collide with others may lead to severe injury or death. This may be due to the untimely deployment or the lack of the airbag coming out of the compartment. Other complications arise when the airbag is not created correctly, has materials that are harmful or substances that leak and various other concerns. It’s not nearly as difficult to be a great marketer when you are the big fish in the little pond or when in comparison to your competitors, you have unlimited resources at syour disposal. Unfortunately, for the vast majority of law firms – that is simply not the case. Being a great marketer requires doing more with less, finding ways to extend your various initiatives cost effectively and determining the optimal marketing mix. Construction sites and projects are fraught with potential risks to the health and safety of workers at the site. These dangers are numerous and often occur swiftly with little warning. This may even affect flammable materials and substances. When on the roof, there are several different items that may have the capacity to start a fire. When mixing tools that heat up and electrical equipment, an employee for a construction company may find himself or herself in imminent danger if something lights on fire. Confined spaces are dangerous to many individuals for numerous reasons, but when the individual is trapped and unable to exit the location, he or she may become injured or suffer oxygen deprivation and other complications. Industrial and construction areas are frequently full of hazards that could confine a person in a small space if he or she is not paying attention to his or her surroundings. Litigation due to patent infringement is an ongoing problem, and it tends to rise during certain periods over time. Since 2012, the amount of lawsuits over these issues has been the highest in several decades due to various individuals seeking either the same patents or attempting to reproduce the items of a currently patented creation. Trends in workplace litigation have been going through increases and decreases based on the year and certain relevant factors. Since changes were implemented in 2016 and 2017, the litigation involving employment has been altered drastically by the United States Supreme Court. Defects occur in almost all manner of products, materials and structures. These problems may exist in designs, a product line or only a batch. However, various defective items cause injuries if the issues pose a risk of danger to someone that is using the object in a standard manner. Litigation is often messy, complicated and difficult to get through for all parties concerned. There are procedures, processes, stages, officials and documentation that all demand perfection or else they could be thrown out.